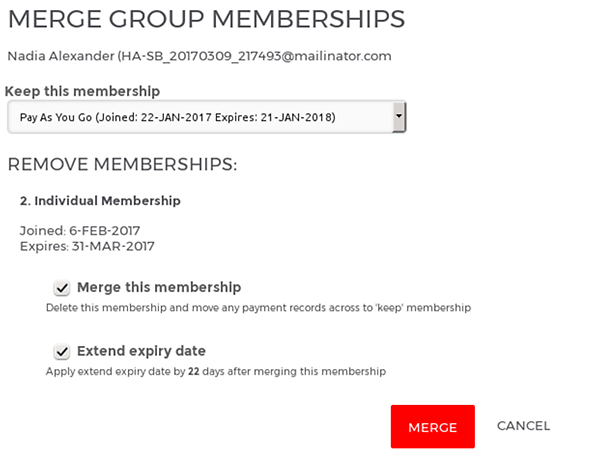 You can choose which membership to keep, and which ones to merge. 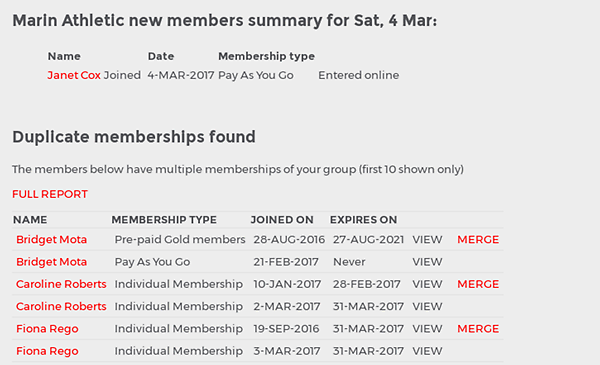 We'll automatically calculate how much to extend the member's expiry date by to take account of the removed membership. 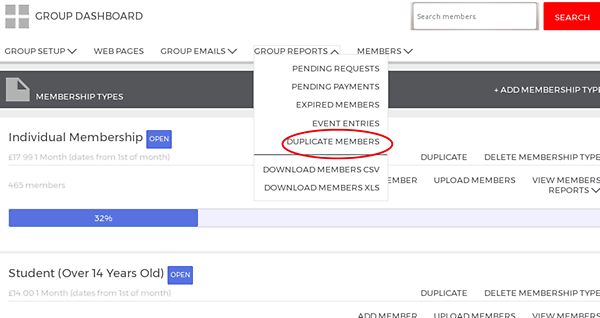 However, you can prevent this if you need to (un-tick 'extend expiry date') or just edit their membership and adjust the expiry date manually after the merge. We'll merge across any payments, linked enries, results and so on so they aren't lost!